I'm trying to figure out how to set it up so that people can sign up to be an affiliate and then choose the programs or items that they can receive a commission on. The Affiliate plugin was designed to offer a simple way to track clicks and signups to your site. It integrates out of the box with many of our other plugins like Membership & Pro-Sites. I too was seriously confused about this. I don't have any out-of-the-box integration plugins, so I came here to find answers. I'm sure a lot of others are doing the same. Any updates that need to be made to the tutorial to make it compatible with the latest version of Affiliates, are marked in BLUE. Thank you for pointing me to that tutorial.. I think it should be added to the network admin "Manage Addons" section of the plugin. It would probably save a lot of people a lot of time searching like me and Natalie did. 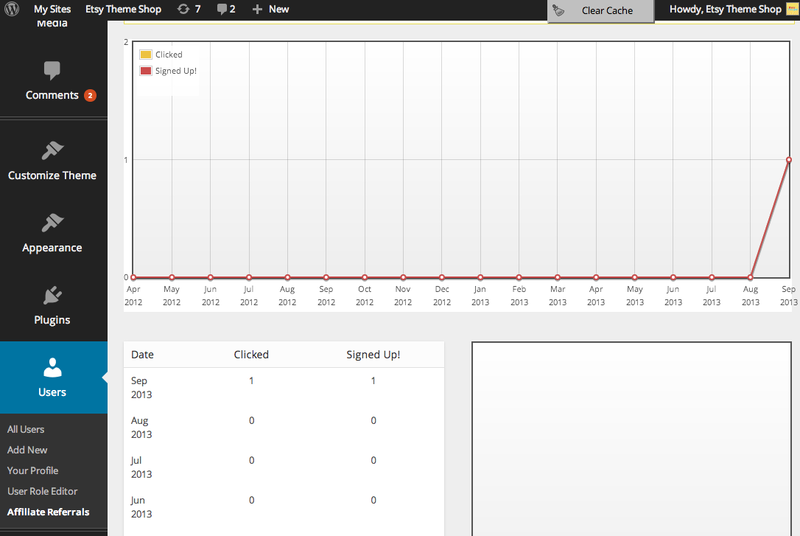 The functionality and UI of the Affiliates plugin are currently being reviewed for future updates. So this comes at a very opportune time. I'll be sure the folks in charge of the project are alerted to this thread. I'm always open for business when it comes to cookies! :slight_smile: Thanks Patrick. And just as another addition / suggesting, since it is under review. I'm giving affiliate rewards based on Unique Click -> Signup, so there's no need for "Paying Member" on my part. It'd be great if we could customize the requirements so that we can remove the "Paying Member" portion, also to reward points instead of actual cash. Brilliant, thanks! We're definitely listening, tha nks for being an awesome member! I am also looking for a solution like @chipit_prom said. All users have an affiliate link. (No need to activate or enter anything). All users have a Points score. Thats it, admin adds how much points per registration and done. Maybe choose paypal or points in admin can be a good solution. Some more excellent suggestions, thanks! I'm moving this topic to the Features & Feedback forum as it looks like it's becoming a nice feature thread!